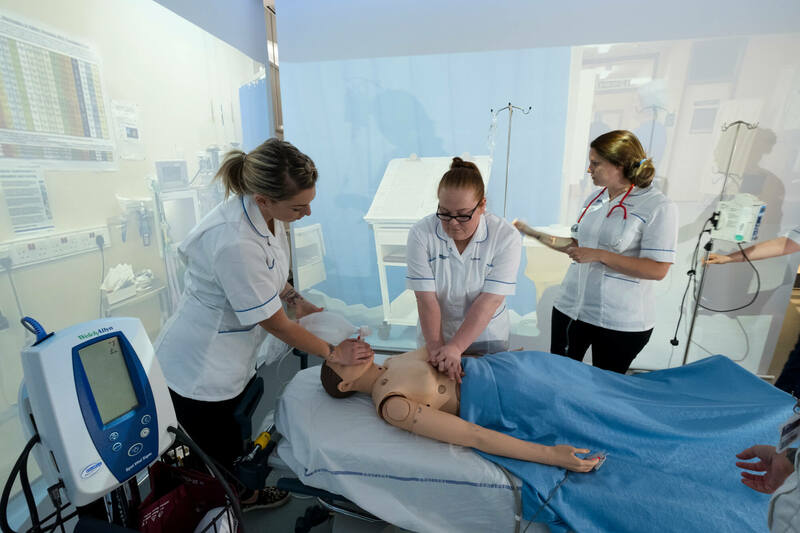 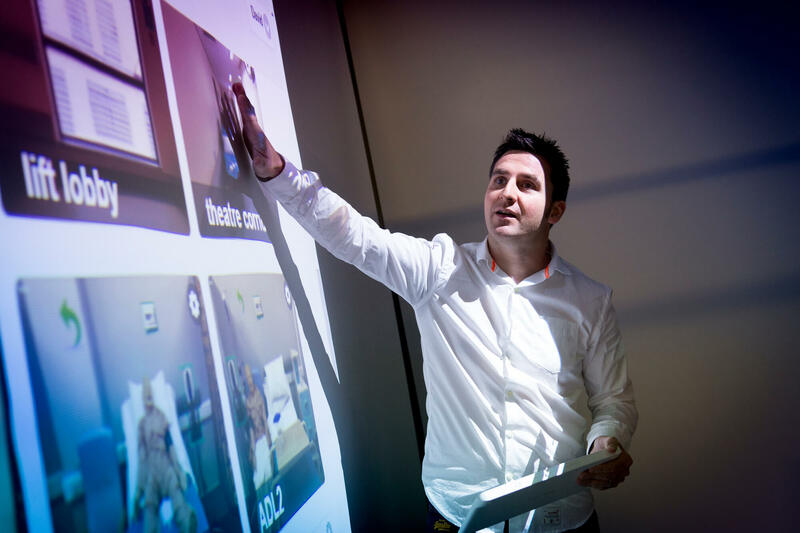 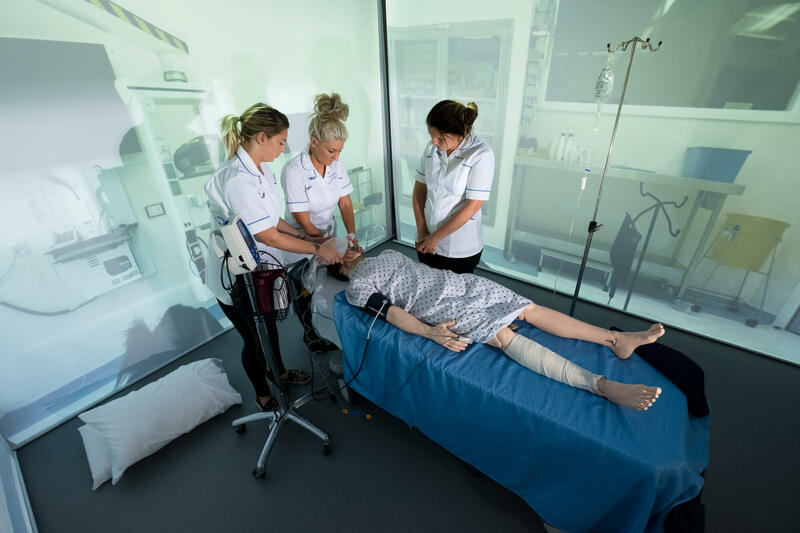 Our students can gain experience using our Immersive Interactive Simulation Suite which combines innovative technology, virtual reality, interactive 3D graphics and audio content to provide you with a creative multi-sensory learning space. 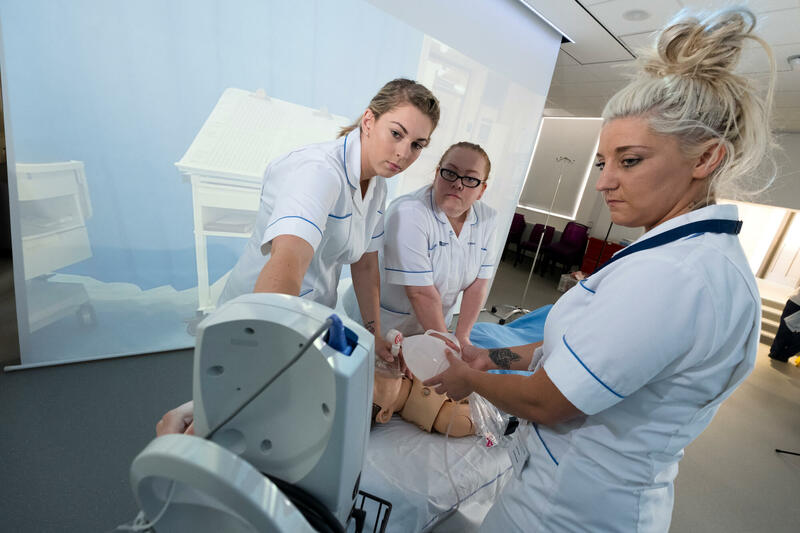 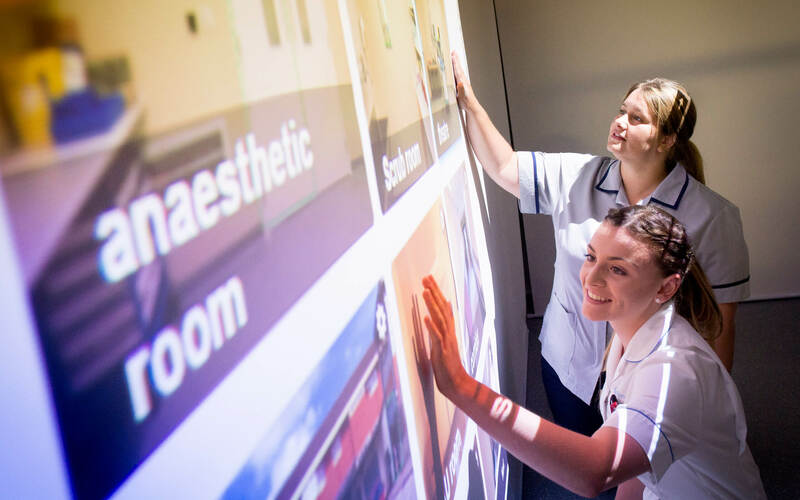 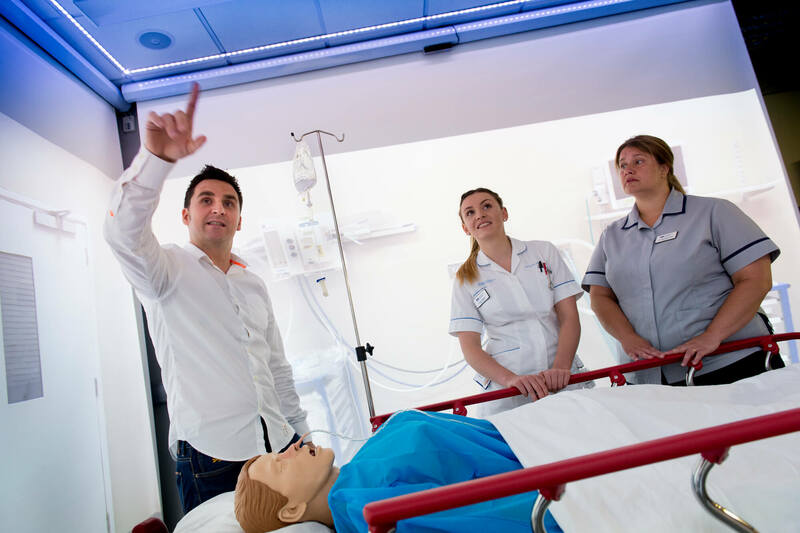 Our new Immersive Interactive Simulation Suite combines innovative technology, virtual reality, interactive 3D graphics and audio content to provide you with a creative multi-sensory learning space. 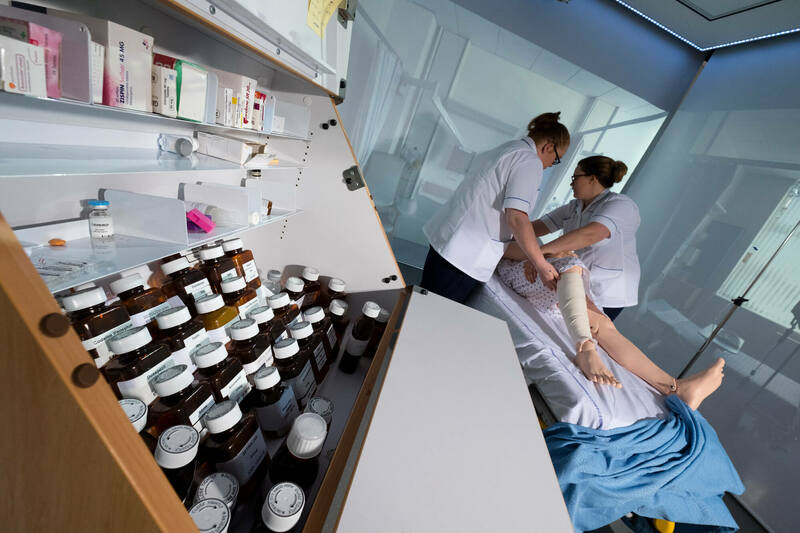 You can simulate many different healthcare practice environments so you can experience and respond to real-life situations in a safe environment. 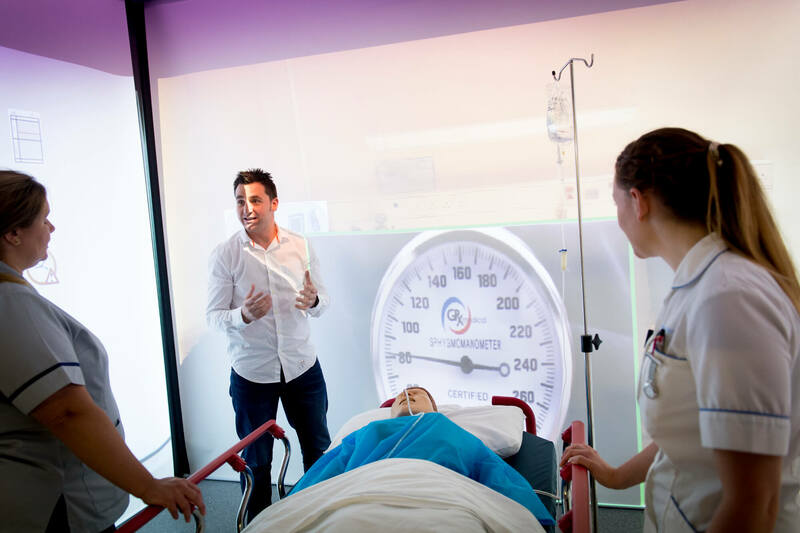 Our Immersive Learning Suite builds upon your existing competencies and on your current experience. 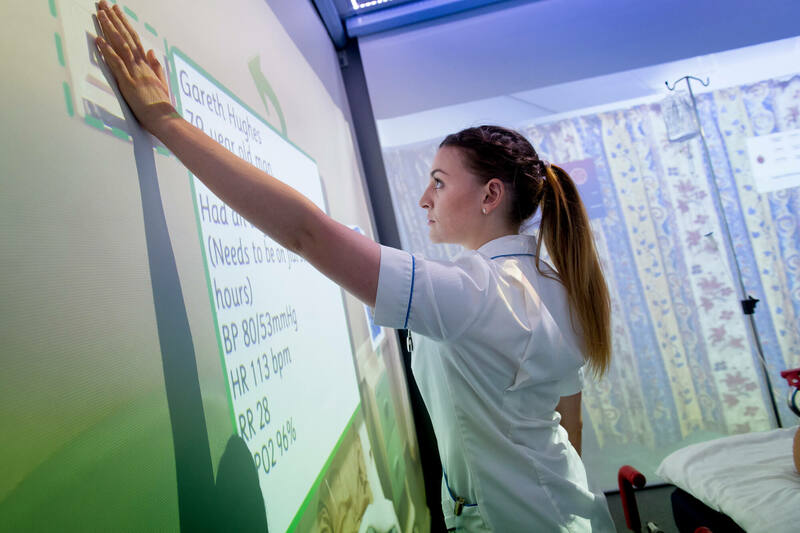 It enables you to move beyond merely remembering, understanding and applying concepts; you will also be analysing, evaluating and synthesising information to formulate new knowledge.